The 11th Kontinental Hockey League’s season started one month and a half ago, and the teams played almost one-third of their games, playing at home from 6 to 12 matches. The attendance figures – if compared with other seasons – are promising. And this is even considering that right before the start of the season happened the infamous incident that – it’s not difficult to imagine – has a negative impact on the League’s attendance. This kind of numbers is hard to ignore: The Arena Omsk, now closed due to emergency conditions, has a capacity of 10,300 seats, while the Balashikha Arena has a capacity of just 6,000. 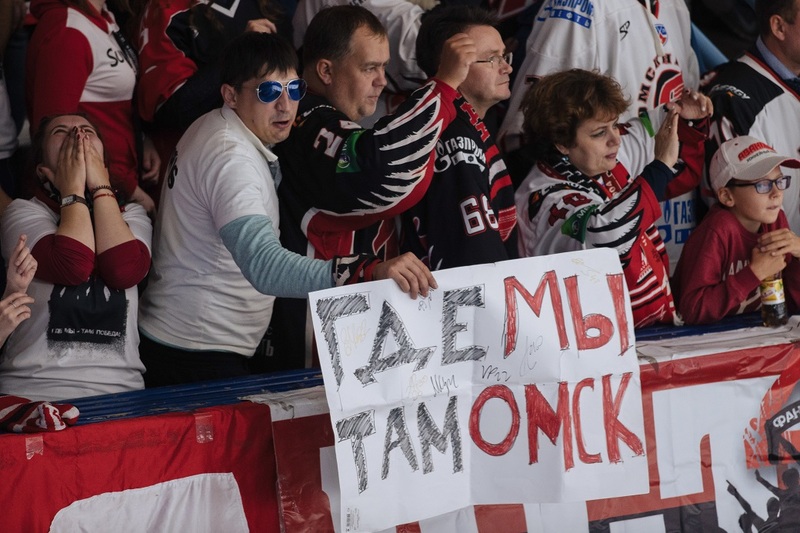 The 4,500 missing fans who aren’t able to support the team have a real impact on the numbers, as the Arena Omsk has traditionally been one of the League’s hottest tickets. The forecasts at the start of the season were negative, but the situation is proving the pessimists wrong. So far, Avangard staged nine “home” games before a combined audience of 44,536 spectators – that is, an average attendance of 4,948 fans per game. Considering that, in fact, Avangard is playing as a guest, the team is posting excellent numbers. The team is recording a capacity percentage of 82,5%, and only seven teams boast a higher figure. It’s necessary to praise and thank all the faithful fans who didn’t leave the team alone in this difficult situation and hope that the same picture will last for the whole season. Most likely, in the playoffs, Avangard tickets will become a hot-pursued commodity, and it’s hard to imagine that the team won’t fall in the Eastern Conference’s top eight, considering the current second place in the standings. As a confirmation, it is possible to find the recent game between Avangard and CSKA, held on October 7, when all the tickets were sold more than one day before the opening faceoff. Perhaps, the most important figure of the first six regular-season weeks is that the average attendance this year is the second in the League’s history. With 6,238 fans lining up at the ticket control every game, only in 2014/2015 season, the numbers were better – not too much as the then-average was 6,263 spectators, a mere 25 seats more per game. It’s not hard to imagine that if it weren’t for Avangard’s forced move, the figures would be the best ever. But who are the other top performers? In the first place, CSKA Moscow. The Red Army had an incredible increase in attendance, almost 2,5 times since last season. This can be easily explained considering that the team changed arena this summer. 55,324 spectators flooded the gates of the seven CSKA home games, with an average crowd of 7,903, when the last time around the average attendance couldn’t even reach 3,500 (to be exact, 3,411). It’s also interesting to note that for the first time in the KHL history CSKA leads all Moscow clubs in attendance figures. However, there must be no room for complacency for CSKA: the team’s capacity percentage is lower than 70% (65.3) when both the roster and the goals of the club should easily translate in regular sold-outs at the CSKA Arena. 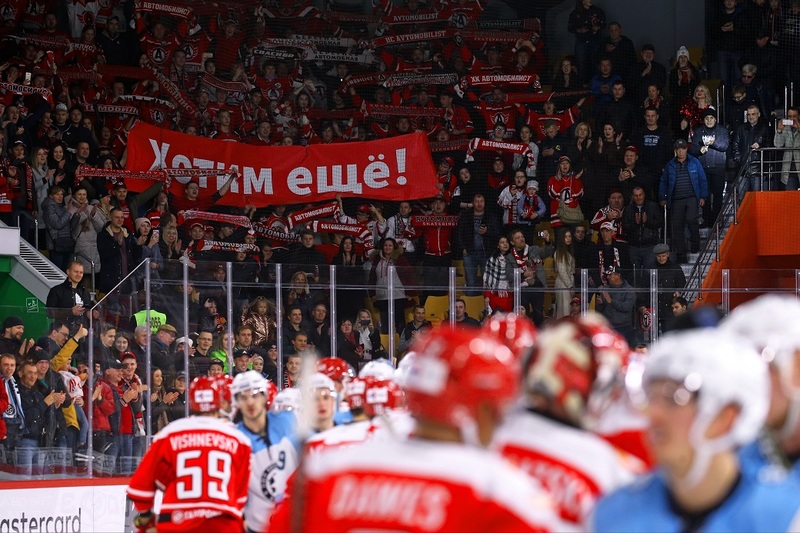 The incredible initial 18-win streak by Avtomobilist had his effect as the average attendance of the Yekaterinburg-based team raised by almost 900 fans, reaching the 5,432-figure. Considering that the Uralets Arena can host 5,545 fans, the capacity percentage is equal to 98,0% – that is, the best in the League. Another team with a nice improvement is Dinamo Riga. The Latvian side had a recent downturn but is still in a layoffs spot, and this success convinced fans to get back to the stadium. 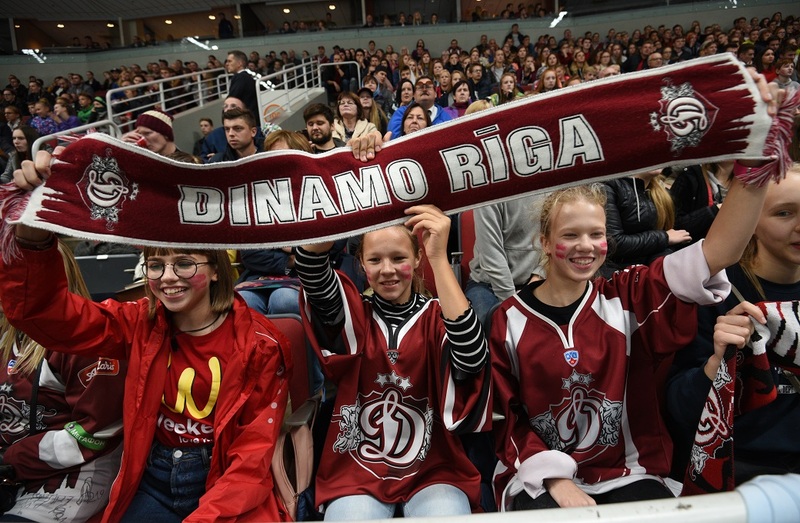 If considering the first six weeks of the 2017/2018 season, Riga’s average attendance increased of 1,907 fans per game. Neftekhimik and HC Sochi also had a noticeable increase in the average figures, with a 1,329 and a 1,570-fan increase, respectively. In spite of the rocky start, the team led by Andrei Nazarov increased its capacity percentage of about one third, reaching now the 73,5% mark. In the latest two weeks, Spartak also became one of the League’s most attended team, with an increase of 22,8% in the capacity percentage and 1,367 in the average attendance. 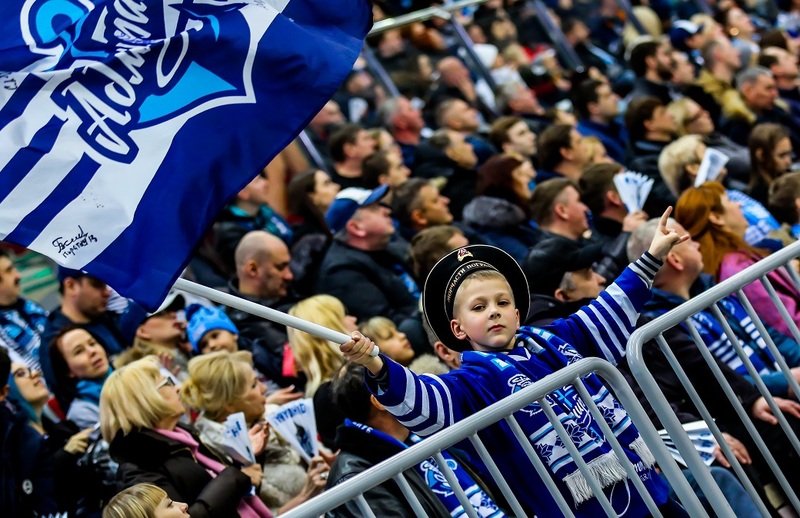 Another Moscow-based club changed arenas and strengthened the roster this summer – HC Dynamo, but its efforts didn’t translate in a significant attendance increase. The team boasts only 340 spectators more than last year, and since the Megasport Arena has a capacity of 12,724 spectators, the capacity percentage leaves much to be desired as it only reaches a mere 40%. What about the other teams? We already talked about Avangard, which can hardly be compared with different situations, even if they lost more than 3,000 spectators a night. Instead, it’s the Jokerit’s situation a surprising one. Since its affiliation with the KHL, the Helsinki-based team traditionally was one of the best-attended clubs in the League. However, the Finnish side lost 1,473 spectators per game. The situation in the latest couple of weeks is slowly getting back to regular figures, as in the first four weeks, numbers weren’t encouraging for Jokerit (-4,727 fans if compared to last year’s numbers). One can only wonder what the reason behind this trend is, as the team led by Lauri Marjamaki is the third team in the Western Conference. Hopefully, Finnish fans will get back to flood the Hartwall Arena – one of the best venues in the League – and improve the team’s capacity percentage, now stuck at a disappointing 61%. Disappointing results and off-ice problems led Admiral to lose about one-third of their attendance (-1,469). Even Sibir Novosibirsk halted its excellent attendance score due to the catastrophic start of the team, and the arena is now on average filled up to the 91,2% of its capacity. For Novosibirsk, this is a bad number, but many teams in the League can only dream about such a percentage, as the figure is the third in the KHL. However, the team lost 6,8% of its attendance since last season or almost 500 spectators per game. It’s surprising, but also SKA and Lokomotiv lost about 500 spectators a night, and this is even considering that these teams are traditionally among the League’s best-attended clubs. To sum up, it’s worth to note another time that the League sees another increase in regular-season attendance. Maybe the improvement is not too big, with plus-346 spectators a game, but as the tradition dictates, the first few weeks in the regular season are not the top-visited part of the year, and the 11th season has all the tools to become the best-attended season in the League’s history.